It is no mystery that parenting is a hard long journey often not the most stylish and elegant one for any mum…but I’ve discovered a way to uplift the fashionista spirit in me every day by choosing some really cool and fun clothes for my little ones. Plus individuality is an important aspect in each child’s development, and a sense of style never hurt anyone. 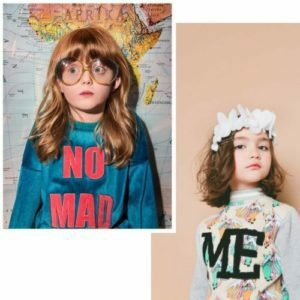 The “style gene” as Ruth LaFerla a writer reports, it is a trait that you are born with, if your kid is one, then why not join them on a fun journey of colourful, playful distinctive fashion. In this piece you will surely love the new brands I will introduce you to because as the saying goes, life is too short to dress in boring clothes. If you are sick of always dressing your boy in blue and your girl in pink, then you will love BangBang Copenhagen. This Danish gender-bender brand knows how to have fun with their statement playful pieces. Can’t help but think of Bjork white swan Oscar dress! Much to say, many found it to be a fashion Faux Pas, but surely not for this brand. Hugo Loves Tiki is a brand that is without a doubt swag. What kid wouldn’t want to be dressed in a gummy bear garment. 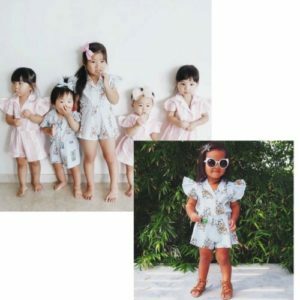 They surely know how to put a smile through their fun stylish cuts, with exaggerated ruffles and cool jumpsuits, mixing it up with yummy pastels and prints that even us “grown ups” wish to own a larger sized version. Designer and Mum, Kristin Nystrom, a Swede living in Singapore designs and hand-draws all the prints and characters for each one of her collection. Every theme has a story to tell and it’s transformed into soft, comfy and playful garments, with the use of organic cotton of course. Sustainable fashion is the way to go! The duo team behind the poetic Danish brand are two friends, one is a designer and the other is a fashion photographer. What links them together, is their love of art, and that’s what Soft Gallery’s concept is about. Collaborating with different artists to create a distinctive style to their pieces. All their garments are made in India and some of their proceeds go to the Danish Indian Childcare, mixing fashion with goodwill. Going bananas for the cool collection from Indikidual. A variation of funky fruity prints to even Sushi, what kid wouldn’t want to be in these garments. This brand was started to encourage mixing and matching, all with the use of organic cotton, keeping your kid funky and comfy, all at once. If you are a lover of vintage inspired clothing, then this is the brand for you. Each piece is made to give a French vintage feel while still keeping it fun and comfortable.